A well-trusted name in ammunition, Winchester sets the world standard for handgun ammo performance and innovation. The Ranger Talon T-Series is one of Winchester's highest performing loads with an unbeatable combination of expansion and penetration. Designed to meet the tough demands of law enforcement personnel, this ammunition is a top-of-the-line self-defense load. 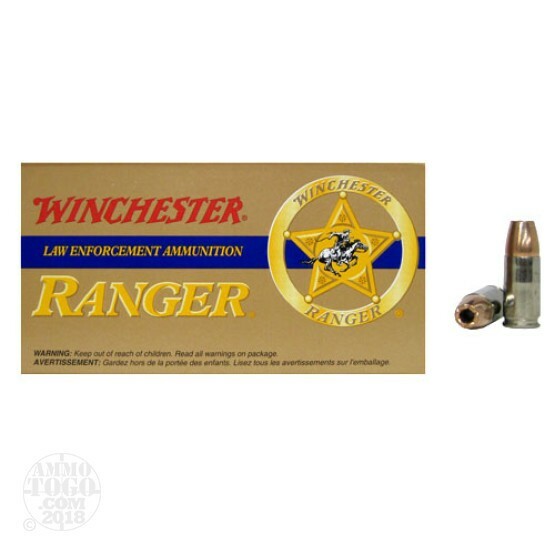 Perfect for the shooter who likes to stock up, this package contains 500 rounds of Winchester Ranger Talon 9mm luger (also known as 9×19mm Parabellum) ammunition. Each round is loaded with a 147 grain T-series jacketed hollow point projectile. This innovative bullet design features a special reverse taper jacket. The result of this unique design is impressive and reliable terminal expansion, even through many tough urban barriers. Backed by a comprehensive testing program, you can count on this ammo to deliver consistent stopping power in real world self-defense situations. Leaving the muzzle at a velocity of 990 feet per second with a muzzle energy of 320 foot pounds, this new production ammunition is one of the best personal protection loads on the market today. Each round is boxer primed and features a reloadable nickel-plated brass casing for easy chamber checks and smooth function. 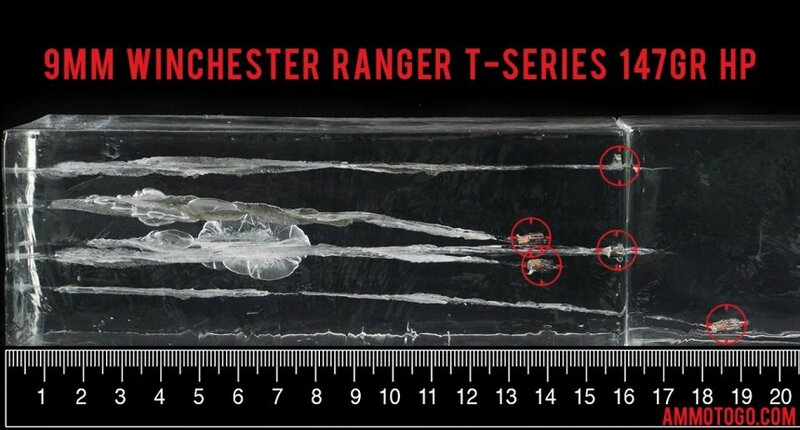 We fired five rounds of this Winchester Ammunition 9mm Luger (9x19) ammo through a cloth barrier into Clear Ballistics calibrated synthetic gelatin and recorded the results. For these tests, we used a S&W M&P Shield with a 3.1-inch barrel. In the photos, graphics and video on this page, you can see specifically how the Winchester Ammunition ammo performed and how it sticks up with the rest of the 9mm Luger (9x19) ammo we have tested so far.